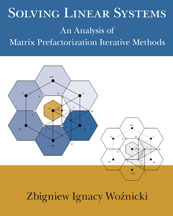 Matrix Editions is a small publishing house founded in 2001, committed to "serious math­ematics, written with the reader in mind." Our goal is to publish rig­orous books that go beyond correct state­ments to show why state­ments are correct and why they are interesting. Would you like to be notified of new books or special offers? Our books (except the student solution man­uals) are hard cover with smythe-sewn bindings; pages won't fall out on heavy use. We take care with layout; whenever possible we place figures on the same page (or facing page) as the text they illustrate. Our commitment to excellence does not end once a book has been pub­lished. When errors are found they are posted and customers are alerted. We now offer some of our titles as pdf ebooks. These links will take you to a brief description of the book; for more information, click on the book cover or title. Used at Harvard, Yale, Cornell, UCSD, Calgary, the University of Minnesota, IUPUI, Portland State, and more. Click on the book cover or title for more information. An instructor's solution manual, in pdf, is pro­vided to instructors on request. There is no separate web page for this solution manual. Matrix Editions has scored a coup with this title. — SciTech Book News. 1. The classification of homeomorphisms of surfaces. 2. The topological characterization of rational maps. 3. The hyperbolization theorem for 3-manifolds that fiber over the circle. 4. The hyperbolization theorem for Haken 3-manifolds. "Not only are the theorems of extraordinary beauty in themselves, but the methods of proof Thurston introduced were so novel and displayed such amazing geometric insight that to this day they have barely entered the accepted methods of mathematicians in the field." 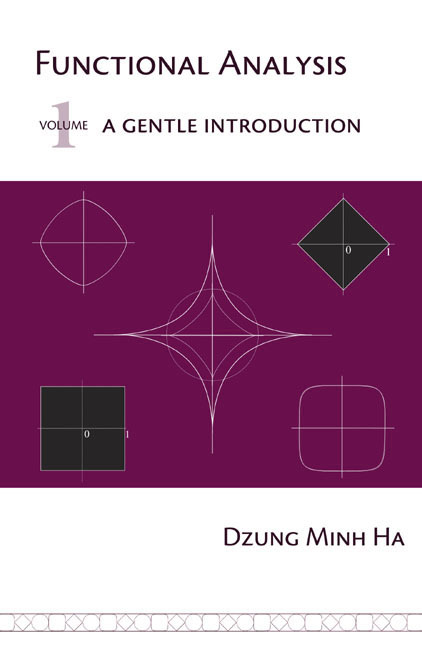 Volume 1 gives a complete treatment of Teichmüller theory, including the material needed in the subsequent three volumes to prove Thurston's theorems. The book is written to be accessible to second-year graduate students. 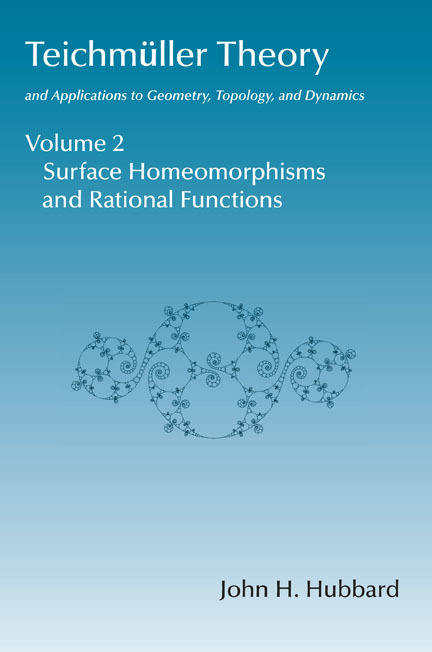 This second volume provides proofs of the first two of Thurston's four theorems: the classification of homeomorphisms of surfaces and the topological characterization of rational maps. 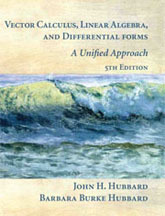 "The results sound more or less unrelated," Hubbard writes in his introduction, "but they are linked by a common thread: each one goes from topology to geometry. Each says that either a topological problem has a natural geometry, or there is an understandable obstruction. The proofs are closely related: you use the topology to set up an analytic mapping from a Teichmüller space to itself; the geometry arises from a fixed point of this mapping. Thurston proceeds to show that if there is no fixed point, then some system of simple closed curves is an obstruction to finding a solution." Outstanding Academic Title of 2007 (Choice Magazine). 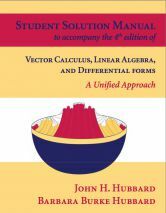 "The author has set himself a monumental task: writing a functional analysis book that can be read by any well-motivated student, even one with only a modest background in analysis. He carried out this task with great patience and care and he did a remarkable job." — SIAM Review, June 2010. 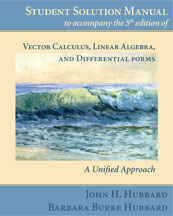 The 4th edition of the textbook is out of print. 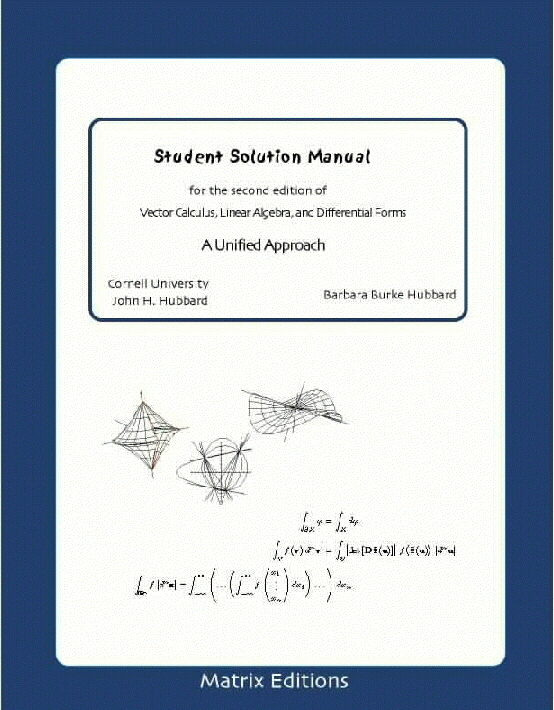 The 2nd edition of the textbook is out of print.